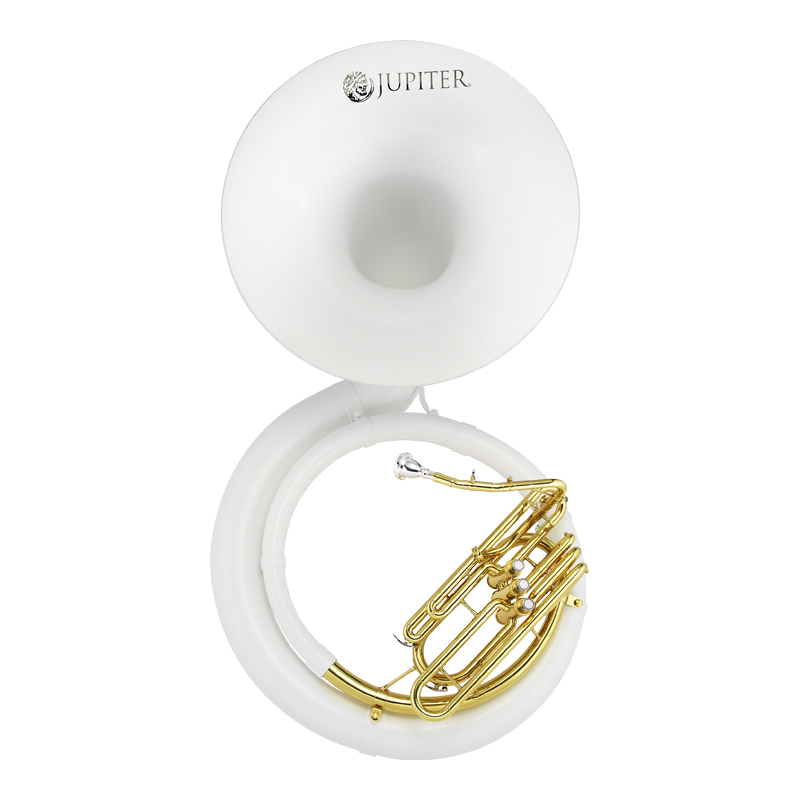 Thanks to its fibreglass body, the snow-white Jupiter JSP1000 sousaphone weighs in at a mere 10kg, making it ideal for marching bands, show orchestras and jazz outfits. It is comfortable to play and produces an impressive sound. The 26 inch bell produces great projection and it features an easily removable valve and slide body for easy maintenance and repairs. The stainless steel valves have remarkably smooth, fast action for improved agility and playability. For over 30 years Jupiter has been developing and building brass and woodwind instruments to the most exacting standards. The Jupiter range of brass instruments for experienced players and marching bands offers a high standard of materials and exceptional intonation and tone quality.